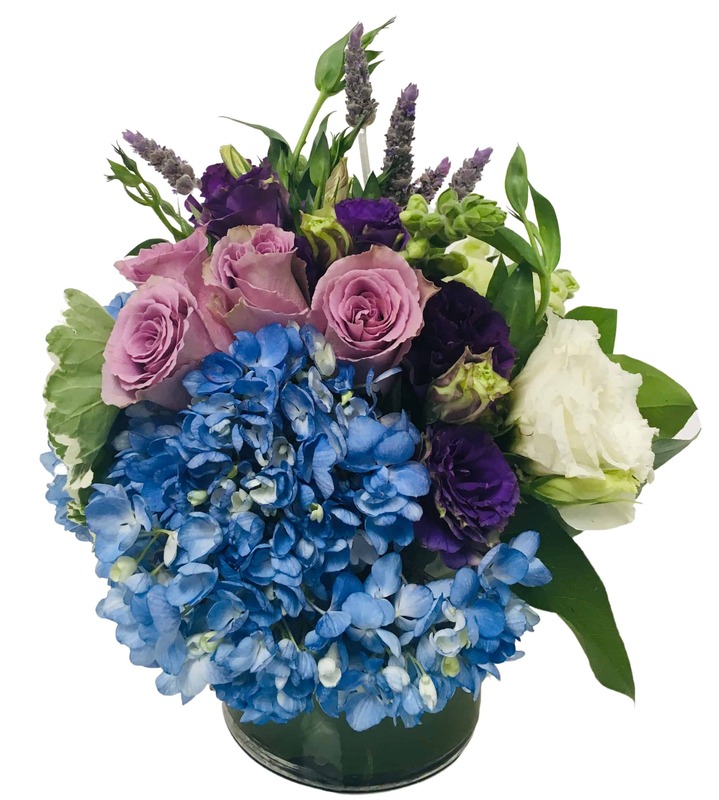 Divine purples, greens, whites and lavenders combine to create this classic Italian beauty! Its design is exquisite and it's sure to please with its seasonal mix of Roses, Tulips and Hydrangea. Make a statement without using any words when sending this gorgeous display for a birthday, anniversary, congratulations, welcome or get well wish! It can even say, "Thank You" far better than words! I sent these to my inamorata to celebrate her new job, and she was thrilled by how beautiful they were. They were delivered to her office the Thursday before a holiday weekend, and when she came in to work on Tuesday, they were still spectacular. I ordered these for my escrow officer and her asst. and they loved them! They called me up ranting and raving on how beautiful they are! I will order again from Rossi & Rovetti Flowers as these flowers were simply fabulous!